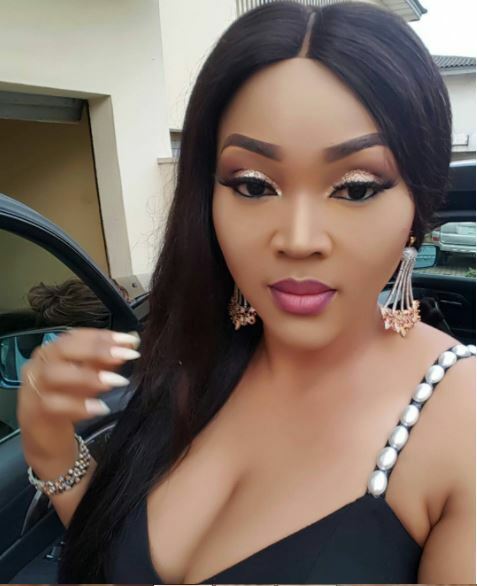 Mercy Aigbe stepped out for her colleague Saheed Balogun’s 50th birthday party. 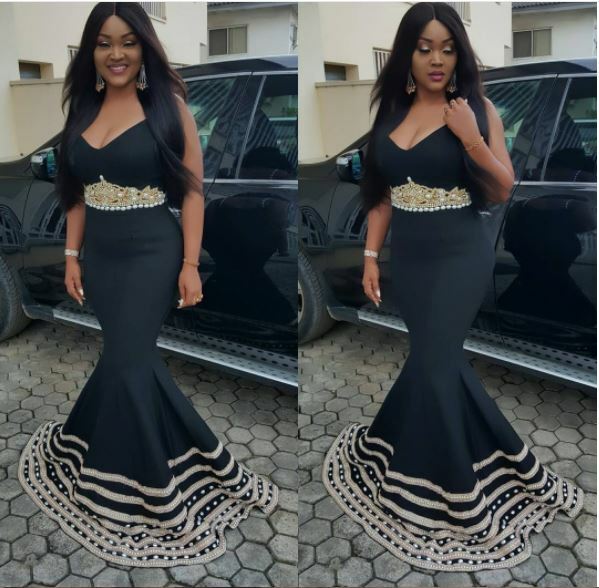 The actress and mother of one wore a fitted black gown to celebrate her colleague and veteran actor, Saheed Balogun. She left a part of her bust enjoying a feel of sunlight in her beautiful dress worn with a smile. 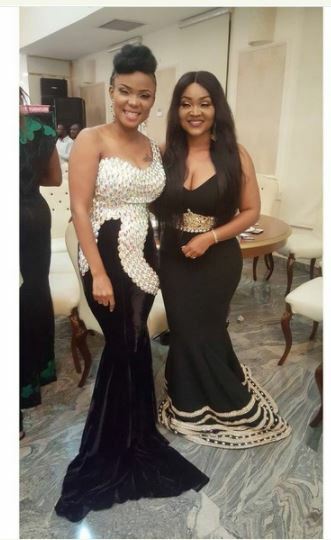 She also took a picture with a popular movie producer and friend, Iyabo Ojo.